Tana Amen:	And I'm Tana Amen. Here we teach you how to win the fight for your brain to defeat, anxiety, depression, memory loss, ADHD, and addictions. Dr Daniel Amen:	The Brain Warriors Way Podcast is brought to you by Amen Clinics where we've transformed lives for three decades using brain SPECT imaging to better target treatment, and natural ways to heal the brain. For more information visit Amen Clinics dot com. 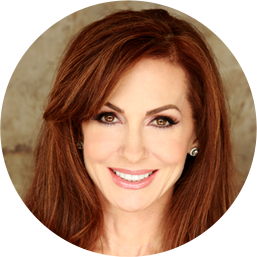 Tana Amen:	The Brain Warriors Way Podcast is also brought to you by Brain M.D., where we produce the highest quality nutraceutical products to support the health of your brain and body. For more information visit Brain M.D. Health dot com. Welcome to the Brain Warriors Way Podcast, and stay tuned for a special code for a discount to Amen Clinics for a full evaluation, as well as any of our supplements at Brain M.D. Health dot com. Gary Busey:	Ready to play the memory game? Tana Amen:	I don't know. Am I? Should I be scared? Gary Busey:	You should not doubt yourself before the starting starts. Tana Amen:	I'm not sure I doubt myself, it's you I'm a little worried about. Gary Busey:	You can do nothing to help yourself on that. You got to help yourself with you and with your brain functions. Dr Daniel Amen:	Helps stands for? Dr Daniel Amen:	Do we have a Buseyism for help? Steffanie Sampson:	Yeah there's one in there. Have you played this game with him? Dr Daniel Amen:	I have. Steffanie Sampson:	It's not in the chapter titles here though. Oh yeah, he played it. He got pretty far. I played it I got pretty far. Tana Amen:	The memory game. Let's start it. Gary Busey:	Okay ready? You repeat after me everything I say. There's only ten of them. One hen. Gary Busey:	Good you did great. Okay one hen, two ducks. Tana Amen:	One hen, two ducks. Gary Busey:	Right. One hen, two ducks, three squawking geese. Tana Amen:	One hen, two ducks, three squawking geese. Gary Busey:	One hen, two ducks, three squawking geese, four corpulent porpi. Gary Busey:	That means a big porpoise. Gary Busey:	Okay this will be halfway there. One hen, two ducks, three squawking geese, four corpulent porpi, five pair of Don Alvarez tweezers. Gary Busey:	Five pair of Don Alvarez tweezers. Tana Amen:	Don Alvarez tweezers, okay. One hen, two ducks, three squawking geese, four corpulent porpi, five pairs of Don Alvarez tweezers. Gary Busey:	Very good but remember the word is pair not pairs. Gary Busey:	Okay here we go to six. You're halfway through it how do you feel? Gary Busey:	Good. Good word. One hen, two ducks, three squawking geese, four corpulent porpi, five pair of Don Alvarez tweezers, six brass monkeys from the ancient sacred crypts of Egypt. Six brass monkeys from the ancient sacred crypts of Egypt. Tana Amen:	One hen, two ducks, three squawking geese, four corpulent porpi, five pair of Don Alvarez tweezers, six brass monkeys from the ancient sacred crypts of Egypt. Gary Busey:	Oh my god. Whoa, you're sensational. Okay we're going to seven. Gary Busey:	One hen, two ducks, three squawking geese, four corpulent porpi, five pair of Don Alvarez tweezers, six brass monkeys from the ancient sacred crypts of Egypt, seven frozen mummies in the caves of Madagascar claiming to know the whereabouts of Elvis. Seven frozen mummies in the caves of Madagascar claiming to know the whereabouts of Elvis. Tana Amen:	Oh the caves of Madagascar claiming to know the whereabouts of Elvis. Gary Busey:	Okay man. Now we're going to eight. One hen, two ducks, three squawking geese, four corpulent porpi, five pair of Don Alvarez tweezers, six brass monkeys from the ancient sacred crypts of Egypt, seven frozen mummies in the caves of Madagascar claiming to know the whereabouts of Elvis, eight sterile nuns dancing in a circle bringing tears to the eyes of Adolph Hitler. Tana Amen:	One hen, two ducks, three squawking geese, four corpulent porpi, five pair of Don Alvarez tweezers, six brass monkeys from the ancient sacred crypts of Egypt, seven frozen mummies from the caves of Madagascar claiming to know the whereabouts of Elvis, eight sterile nuns dancing in a circle bringing tears to the eyes of Adolph Hitler. Did I forget something? Gary Busey:	You are fantastic. I created this game, so I know you don't have a preview of what it is. Tana Amen:	I know I don't definitely. Gary Busey:	Here we go, we're going to nine. One hen, two ducks, three squawking geese, four corpulent porpi, five pair of Don Alvarez tweezers, six brass monkeys from the ancient sacred crypts of Egypt, seven frozen mummies in the caves of Madagascar claiming to know the whereabouts of Elvis, eight sterile nuns dancing in a circle bringing tears to the eyes of Adolph Hitler, nine sympathetic apathetic diabetic lecherous old men on roller skates with a marked propensity toward procrastination and sloth. Tana Amen:	Oh dear Lord. Gary Busey:	You guys are playing too, I know you are. Gary Busey:	With a marked. Tana Amen:	Ah, with a marked propensity toward procrastination. Gary Busey:	With a marked propensity toward procrastination, and? Gary Busey:	Yeah. Okay one more. You are fantastic. Steffanie Sampson:	Nobody's gotten this far. Gary Busey:	Marching to the quid quo quivey and quay all at the same time. Tana Amen:	Six brass monkeys from the ancient sacred crypts of Egypt, seven frozen mummies from the caves of Madagascar claiming to know the whereabouts of Elvis. Gary Busey:	Mm-hmm (affirmative). Eight. Gary Busey:	Of the deep. Come on. Steffanie Sampson:	All at the same time. Tana Amen:	All at the same time. Gary Busey:	Let's give her a hand. Hey, alright. Tana Amen:	I needed your help at the end with that one. That's hard. Steffanie Sampson:	That was amazing. Tana Amen:	That was really hard. Dr Daniel Amen:	That was so much fun. I am so proud of you and I'm so proud of you. Gary Busey:	Listen. That was great. Tana Amen:	I'll tell you what helps with it. Gary Busey:	Wasn't that great honey. Tana Amen:	Do you know what helps me? Karate. Tana Amen:	I practice martial arts. Dr Daniel Amen:	It's great as long as you don't hit your head. Gary Busey:	You practice what? Tana Amen:	I practice Martial Arts, but it helps me, my brain. Gary Busey:	You did something to your shorts? Dr Daniel Amen:	Coming September 4th, "Buseyisms. Gary Busey's Basic Instructions Before Leaving Earth." I've read the whole thing. It is beautifully written. It's funny. You should get it. Tana Amen:	I'm looking forward to it. Gary Busey:	You can pre-order. Gary Busey:	At Barnes and Noble. Dr Daniel Amen:	Barnes and Noble. Gary Busey:	Amazon, and Booksamillion.com. Tana Amen:	And I just want to tell you, you've both been so much fun to have. You've both been just lovely and wonderful. Steffanie Sampson:	Thank you for having us. Tana Amen:	It's so special to have you. Thank you for doing this. Tana Amen:	We will talk about that off air. Dr Daniel Amen:	Alright, you're listening to Brain Warriors Way. Gary Busey:	You're too quick for snakes. Dr Daniel Amen:	Thanks everybody. Steffanie Sampson:	Brain Warriors Way. Gary Busey:	Thank you back. 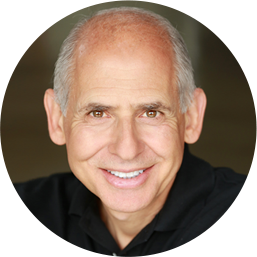 Dr Daniel Amen:	Thank you for listening to the Brain Warriors Way Podcast. 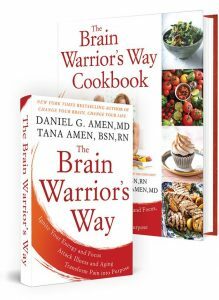 Go to iTunes and leave a review and you'll automatically be entered into a drawing to get a free signed copy of the Brain Warriors Way and the Brain Warriors Way Cookbook we give away every month.